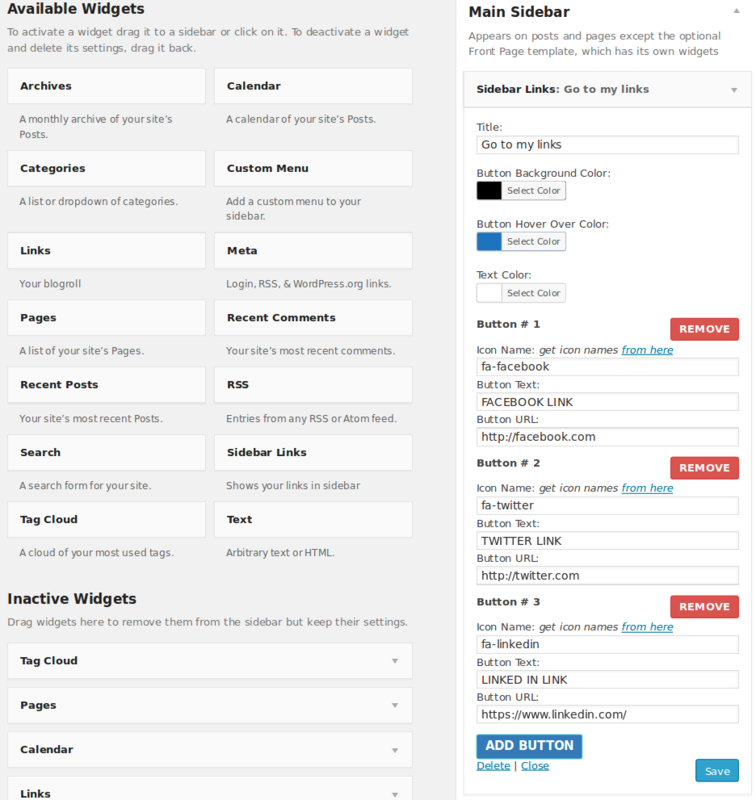 This ‘Sidebar Links’ plugin allows you to create unlimited links/buttons to display at sidebar. For each button you can add fontawesome icon and option to change all types of color of these buttons. If you installed this ‘Sidebar Links’ plugin you will be able to display your 3rd party links in sidebar. The main functionality goes to create unlimited links as your wish and edit/update capability for these buttons. You can just drag & drop to any sidebar for displaying it. Initially the ‘button hover color’ will be your fontawesome color and when you hove to the button then background color goes to text & icon color. This is just awesome auto interchange color switch that you must like it. Auto color interchange option for hover effect. Install automatically through the Plugins-> Add New menu in WordPress, or upload the sidebar-links-widget.zip file to the /wp-content/plugins/ directory. 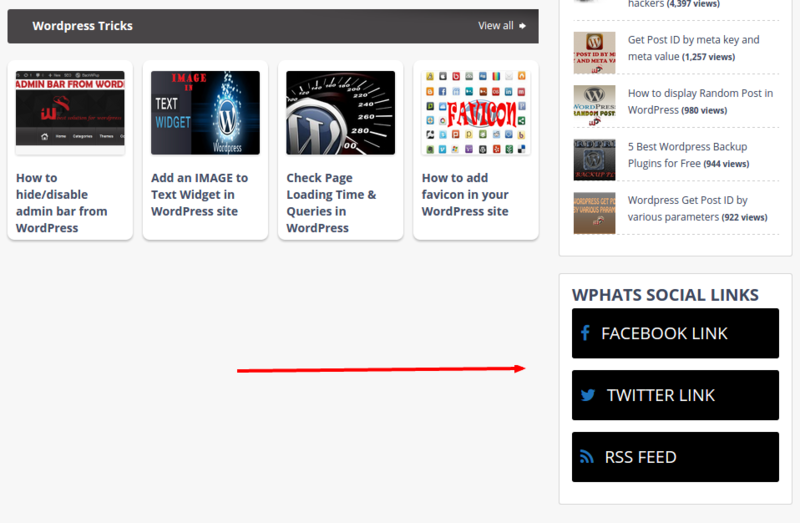 Activate the plugin through the Plugins menu in WordPress. Go to appearance -> Widget to see the “Sidebar Links” in Available Widget area. Just drag & drop to your suitable sidebar. Input your required links & set all the options. This post has already been read 1556 times!